﻿ Sophie Turner Online • The first and leading Sophie Turner resource! Welcome to Sophie Turner Online, the first and longest running website of 'Game of Thrones' & 'X-Men: Apocalypse' star Sophie Turner. STO has over 50k gallery files and is the finest in Sophie news. Here at Sophie Turner Online we've been bringing you the latest Sophie updates, multimedia and photography since 2009. Proudly paparazzi free. 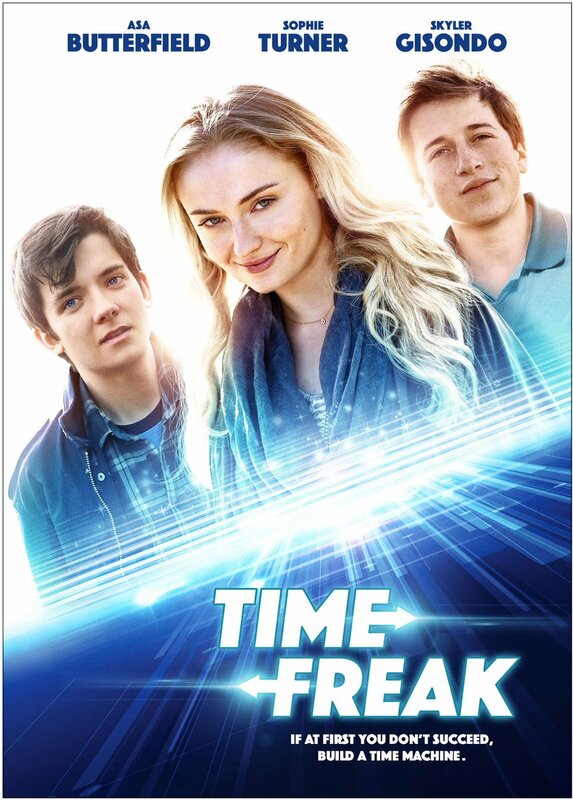 Wanting to see Time Freak on the big screen? Here’s a list of the US theatres that will be screening the film as of Friday, November 9th! No showtimes just yet but check their respective websites for more information! Big thanks to Andrew for the list of participating theatres! *100% of your donation goes to Cancer Research UK in support of the Stand Up To Cancer campaign. For each text message sent, you will be charged £5 or £10 plus your standard network message charge. UK only, 16+. Game of Thrones returns to HBO in 2019. STO respects Sophie's privacy and her private day to day life so pictures of Sophie whilst not working will not be found on this site. The only candid photos posted are those that are taken on the set of any of her projects. The site is also gossip and rumour free and is committed to post only news that is relative to Sophie's career. tldr; Sophie's personal life is off limits, career promo only. Please Note: Sophie is only on Twitter, Instagram, and her Official Facebook. Anyone else claiming to be her on those networks is LYING. If you see anyone parading around as Sophie, please report the profile. © Copyright 2009-2016 Sophie-Turner.com / SophieTurner.org / Sophie Turner Online is an unofficial fansite for actress Sophie Turner. Any original content is copyright to Sophie-Turner.com and may not be used or reproduced without written consent. All other content including images, video files, articles, etc., is copyright the original owner and is posted for educational and research use under the fair use copyright law section 107. If you find an item that you hold the rights to and wish to have it credited properly or simply removed please contact Tori and we will adhere immediately to your demands.